Does Your "Busy Brain" Keep You Awake At Night? George would go to bed dog-tired. He'd usually fall asleep pretty quickly. But he couldn't stay asleep. Nearly every night, he'd wake up at 3 in the morning and his "busy brain" would kick into high gear. He would start thinking about the bills he has to pay. The unpleasant conversation at work. His "to do" list for tomorrow. And whatever else was stressing him out. George tried everything to relax. He drank warm milk. He took melatonin. He tried chamomile tea and even over the counter sleeping remedies. And while they helped a little...his brain still wouldn't shut off. It got to the point where he started worrying about getting a good night's sleep hours before bedtime. This created a snowball effect that made his sleeping problems even worse. By the time George came to see me, he was desperate. His sleep problems were going on for several months—with no relief in sight. "I just can't stand it anymore," he told me. "I sleep for a few hours—then at 2 or 3 in the morning I'm wide awake. My mind starts spinning and I just can't shut it down. When I finally get back to sleep a few hours later ...its right before the alarm goes off!" George's insomnia affected his days, too. He woke up groggy and irritable. And because he was so tired, he easily forgot things and wasn't very productive at work, either. I gave George a very simple all-natural remedy to take about 15 minutes before bedtime. Two weeks later, George told me he felt like a new man. He slept like a baby all night through. His mental chatter disappeared. His memory and mood improved. He was more energetic and his work productivity shot through the roof. And it was all due to a new, all-natural breakthrough I will tell you about in just a moment. What's really causing that restless brain that ruins your nights—and days? My name is Dr. Janet Zand. For over 25 years I've treated thousands of patients using the most effective natural therapies. One of the biggest problems I hear about from my patients and readers is sleeping through the night. So if you too have trouble falling asleep and staying asleep, you're not alone. At night, your mind should quiet and unwind while you're sleeping. But for many people, the complete opposite happens. In fact, scientists say that a restless mind is the most common—and frustrating—sleep killer there is. So why does your mind keep racing when you're trying to get to sleep? It's because your brain needs certain sleep-inducing chemicals to signal that it's time for your body and mind to relax and go to sleep. 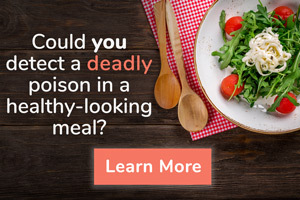 The most important of these brain chemicals is an amino acid called gamma-aminobutryric acid, or GABA. Other research shows a GABA deficiency interferes with the deep "delta" sleep that usually begins within 45 minutes after bedtime. Your brain produces less and less GABA as you age - and this can keep you from enjoying deep, restful sleep. Once you increase levels of this crucial brain chemical, you'll finally start getting the restful, rejuvenating sleep you've been missing. Unfortunately, GABA supplements don't work all that well. 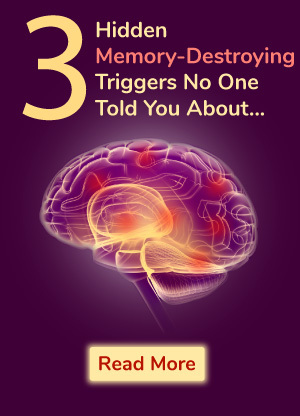 Besides, it's better to give your brain what it needs to raise GABA levels naturally. The remarkable Honokiol (ho-no-KI-ol), an extract from magnolia bark, actually raises GABA levels in the brain - while shutting down the mental chatter that keeps you awake. Without a doubt, this ancient Chinese secret is one of the best ways to help you experience the restful night's sleep you need. So where can you find honokiol? My friend, Dr. Isaac Eliaz — a medical doctor and expert on Chinese Medicine — has created a remarkable formula that contains honokiol and several other natural sleep-enhancers. It combines the best of Eastern and Western medicine to help you sleep better than ever before! Pure SleepTM includes a concentrated, highly-purified form of honokiol, as well as 17 additional nutrients to help you fall asleep and stay asleep. While each one of these ingredients provides specific benefits, together their power is magnified. Pure Sleep helps correct all the imbalances in your body and mind that are causing your sleep problems in the first place. It calms and soothes. It supports your natural body rhythms. It shuts down mental chatter and helps your body cope with stress. It eases tossing and turning. It supports healthy levels of key sleep-enhancing brain chemicals. And it even boosts your memory and mood. Best of all, you won't wake up feeling like a zombie. You'll feel rested, refreshed and ready to take on the day. Let me tell you about the next nutrient in Pure Sleep. It was prescribed as a medicinal herb in Ancient Greece to soothe agitation, relieve anxiety and ease pain. Even its name sounds calming. "Reduced anxiety symptoms by 72%..."
In one study, 20 volunteers with sleep problems were divided into two groups. The first group took lemon balm twice a day, while the other group took a placebo. After just 15 days, scientists said the group taking lemon balm had 39% fewer sleep problems and an amazing 72% reduction in their anxiety symptoms. Plus, they woke up refreshed and alert. Why is lemon balm so effective? It contains compounds that bond with the receptors in the brain that promote relaxation and positive feelings. But that's not all: lemon balm improves mental clarity, too. In another study volunteers taking lemon balm solved a series of math problems faster than the placebo group, with no reduction in accuracy.6 So it helps you feel refreshed and alert, too. Passion flower has been used for centuries as a soothing solution for sleeplessness. It's a mild relaxant that works on your central nervous system to induce sleep. Like honokiol, passion flower helps increase GABA levels. And like lemon balm, it relieves stress and anxiety. However, passion flower has another benefit: it relieves muscle aches and other discomfort that could be keeping you awake. It helps soothe your aches and pains before you drift off to a blissful sleep. Passion flower works best when it is combined with other calming herbs, such as lemon balm and honokiol. I made sure to include it in the Pure Sleep formula. If you're one of the millions of people with sleep problems, you've probably tried melatonin. Melatonin is a hormone that helps regulate your day/night cycle, also known as your circadian rhythm. It's a great remedy for helping people sleep. Unfortunately, it also makes some people feel groggy in the morning. Thankfully, there's a way to get the benefits of melatonin without the grogginess. All you have to do is take less melatonin than you've taken in the past. A healthy person produces less than 0.3 mg of melatonin per day. Yet many melatonin supplements contain 10 to 20 times that amount! No wonder so many people who take those supplements feel groggy the next day. By the way, did you know that melatonin helps improve rapid-eye-movement (REM) sleep? It's true. REM sleep is essential to help regulate your metabolism and protect your immune system. Harvard researchers say by the time you reach age 65, you're spending less than 5% of your time each night getting deep, rejuvenating REM sleep.8 Melatonin can help! Are stressful days interfering with restful nights? Then you will really appreciate the next nutrient in Pure Sleep. It's a compound that actually shuts down your brain's "worry mode" and eliminates the stress of the day. If you drink green tea, you may have noticed how relaxed it makes you feel—despite the fact that it contains caffeine. That's because green tea is a rich source of a unique amino acid called L-theanine. Honokiol, lemon balm, passion flower ... along with melatonin, vitamin B3 and L-theanine... act in perfect synergy to help you drift off to dreamland fast. 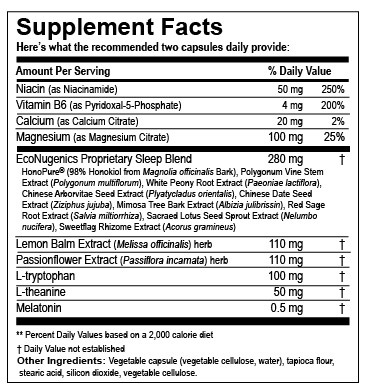 And if Pure Sleep contained just these nutrients, it would already be more effective than the majority of sleep supplements. Serotonin is one of the most important brain chemicals for regulating the sleep/wake cycle. One of its main jobs is to signal your brain that you are sleepy. That's one reason why low serotonin levels can disrupt your sleep or keep you from falling asleep altogether. As if wrecking your sleep wasn't bad enough, a shortage of serotonin can cause other problems. Serotonin is your brain's "feel good" chemical. Research shows that low serotonin levels can trigger depression and anxiety. L-tryptophan is an amino acid that helps promote serotonin production, so it can help enhance your sleep quality. This is especially important in the winter months when less daylight can cause serotonin levels to plummet. From the moment you put your head on the pillow to the instant you wake up, you can count on Pure Sleep to deliver the most effective ingredients to help you get a great night's sleep every night! Why toss and turn all night when you could be getting the most blissful sleep of your life? Click here or call toll-free 1-800-791-3395 to order your Pure Sleep Savings Pack today. Remember, you're completely protected by our "Down-to-the-Last-Capsule" guarantee. Yet typical sleep formulas rarely include them! The first mineral is particularly helpful if aches and pains wake you up at night. It's magnesium...a crucial nutrient that 80% of us don't get enough of. Magnesium is called the "anti-stress" mineral and for good reason: it has a calming effect on the nervous system. Magnesium also promotes normal muscle and nerve function, so it helps gently relax your muscles. 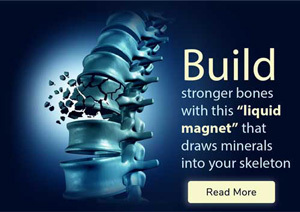 The second mineral is calcium. You know that calcium is important for your bones. But did you also know that it's a natural relaxant that's essential for good sleep? 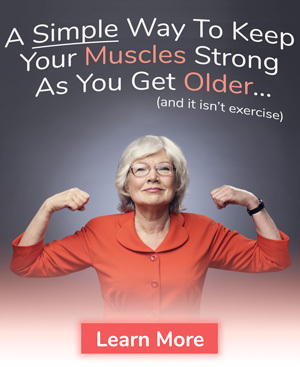 Even a minor calcium deficiency can lead to muscle tension and sleeplessness. I've just told you about 11 natural sleep-enhancers that work synergistically to relax your mind and body...so you can finally get the precious, rejuvenating sleep you deserve. 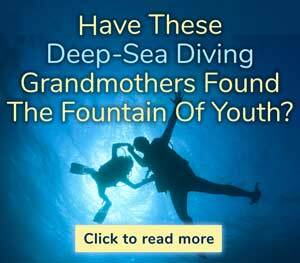 They will help you fall asleep quickly, wake up less often and help you sleep more deeply. The nutrients I just told you about help address many of the causes of sleep problems as you get older. 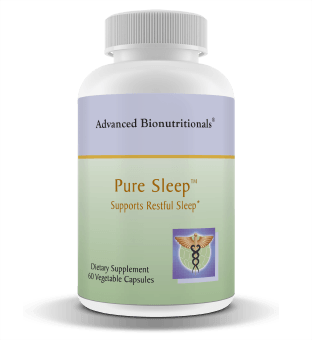 But Dr. Eliaz wanted Pure Sleep to go above and beyond typical sleep supplements. You see, according to the principles of Traditional Chinese Medicine, sleep problems are caused by certain imbalances in your body. For example, your liver functions best during the middle of the night—when you sleep most deeply. And your heart renews and rejuvenates during rest. White Peony Root: At night, your liver stores more blood which aids in sleep. White peony helps your liver store nighttime blood, while also relieving any anxiety or discomfort that may be keeping you awake. Polygonum Vine Stem: In Chinese medicine, polygonum vine helps calm the heart and protect your brain. It also boosts natural serotonin levels and promotes healthy mood balance. Sweetflag Rhizome extract: The Chinese would also say that to sleep well requires clarity of the heart and lungs. We know that there is less breathing with sleep and as a result, less oxygen. Sweetflag Rhizome Extract clears the head and promotes deep restful breathing. Red Sage root: This is one of the most popular remedies in Chinese herbal medicine and for good reason. Red sage root promotes blood circulation, eases the "heat" of inflammation, and relaxes the mind. It's often used in combination with other herbs, such as peony, to enhance its benefits. Sacred Lotus Seed Sprout. 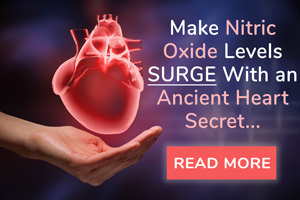 This all-around health tonic energizes the heart, liver, spleen, kidneys and intestines. Chinese Date Seed: Traditional healers use Chinese date seed to enhance muscle strength and promote healthy cardiovascular function. Mimosa tree bark: Like Arborvitae and Sweetflag Rhizome, Mimosa tree bark helps calm the heart. And like white peony, it balances the liver. But mimosa also helps relieve the digestive woes caused by stress and nervous tension, which often interferes with sleep. Combined with the master herb honokiol and other nutrients in Pure Sleep, this special Chinese Herbal Blend adds the finishing touch your body needs to make a good night's sleep your new normal! Fall Asleep in Minutes. Stay Asleep for Hours. Wake up Refreshed and Ready! Other Ingredients: Vegetable capsule (vegetable cellulose, water), tapioca flour, stearic acid, silicon dioxide, vegetable cellulose. Imagine being able to fall asleep the minute your head hits the pillow...and stay blissfully asleep all night long. Imagine waking up refreshed, well-rested, and raring to go ... instead of feeling groggy and irritable all day. With Pure Sleep, you'll notice how much better you feel in the morning ... and how energetic you are during the day. And I can guarantee that Pure Sleep will help you sleep blissfully every night, even if you've suffered with sleep problems for years. Only Pure Sleep combines the wisdom of Eastern and Western medicine to help you sleep better than ever before. And it continues to improve your sleep all night long. Best of all, there's NO "hangover" effect to worry about, like there is with many other sleep remedies. Let's face it: when you're struggling to fall asleep and stay asleep - you want something that works. And works fast. Many natural sleep remedies can take several weeks to "kick in" - if they work at all. With Pure Sleep, you'll notice a difference in your sleep patterns starting from the very first night. Over the next few days, your results will get even better. You'll begin to fall asleep quickly ... stay deeply asleep longer ... awake rested and relaxed. Over the next week or two, you'll notice that your overall mood is brighter and your mental clarity is faster. You can take Pure Sleep every night, without worry. And it won't leave you feeling like a zombie the next day, either! Just 2 capsules right before you go to sleep can make all the difference in the world. You Can Get a Great Night's Sleep at a Very Affordable Price! A One-Month Pure Sleep Starter Pack is just $39.95 plus $6.95 shipping. Try a 3-month supply of Pure Sleep and pay just $35.95 a bottle. That's $107.85 plus $6.95 shipping - a $12.00 savings off the regular price. If you want the best value, the lowest price per bottle, then go with our Six Month Pack. Order a six-month supply of Pure Sleep and you pay only $33.25 a bottle. Plus you don't pay a penny in shipping! You pay only $199.50 and save a total of $40.20! Save over $40 and get free shipping with our Best Value. 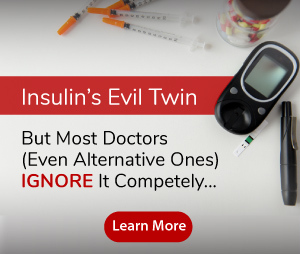 Plus, you have nothing to lose with my Down-to-the-Last Capsule Guarantee! That's right—as with every Advanced Bionutritionals product you're completely protected by our unconditional "down-to-the-last-capsule" guarantee. If you don't agree that Pure Sleep has helped you enjoy the best sleep of your life... or if you're not 100% satisfied with Pure Sleep at any time, simply send back the bottle to us within 90 days of your purchase. Even if it's completely empty. We'll refund every penny you paid - including shipping and handling. No questions asked! You only pay return shipping. I want to order Pure Sleep Formula today! Or, just call us toll-free at 1-800-791-3395 to have Pure Sleep sent right to your door. Our health consultants are available to help you 24 hours a day, seven days a week. Here's to sleeping great - every night! Why toss and turn all night—when you can be getting the deepest, most blissful sleep of your life? Simply order your risk-free supply of Pure Sleep today. It's the easiest, safest, and most effective way to help you experience the restful, relaxing sleep you deserve...and wake up ready to take on a bright new day. PS: Only Pure Sleep delivers a potent blend of 18 nutrients to help you fall asleep faster, stay asleep longer, and ease all the problems that keep you awake in the first place. Remember, results may vary for you, but our Down-to-the-Last-Capsule Guarantee remains the same: If you are not 100% thrilled with Pure Sleep formula, simply return the bottle—empty or not—within 90 days for a no-hassle refund. That's about as risk-free as it gets! And now you can get started for as little as $33.25 a bottle! Click here or call toll-free 1-800-791-3395 to order today.